"We loved our Paris apartment! Our location was perfect, a block from the Seine and Notre Dame but on a quiet, narrow street where the noise was minimal. The apartment was charming and ideally set up,..."
"Great property! 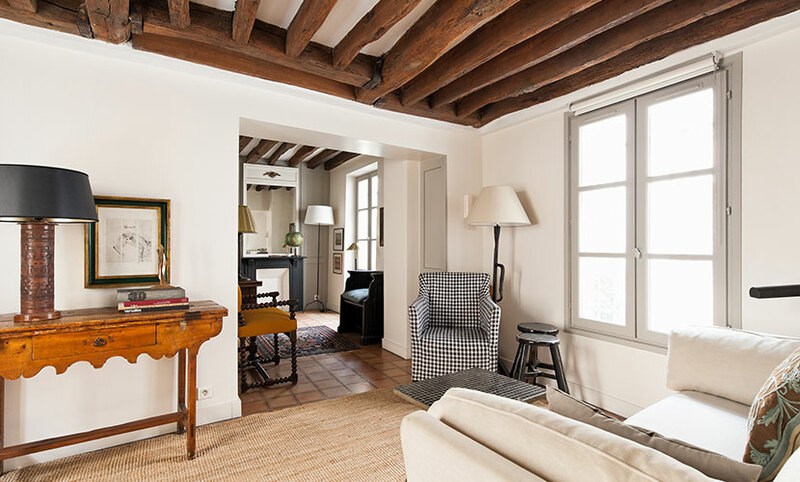 Wonderful location in the Latin Quarter right near Notre Dame. The apt was clean, very comfortable and homey, and beautifully done. We loved it and hope to be back again soon!" "Alicante truly was perfect! It was quaint and full of Paris atmosphere and history. The old beams gave you a sense of the time that the building was built. The decor was tasteful and comfortable. I..."
"Couldn't have been more pleased with this arrangement! The location was extremely close to bus and Metro stops as well as first rate wine, cheese, bakery, and charcuterie markets! The accommodations..."
"It was a wonderful stay, as always. This is our fourth visit to this apartment, and we now consider it to be our "home away from home". It is perfect in every way." The Alicante is a lovely one bedroom, one bathroom apartment with an outstanding location in the Latin Quarter, on a quiet street near the romantic Seine and the trendy Boulevard Saint Germain. 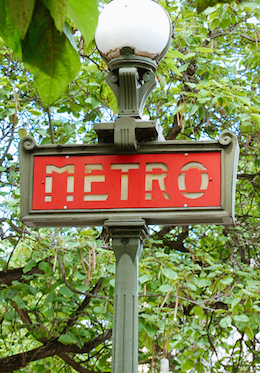 This is the 5th arrondissement at its finest! 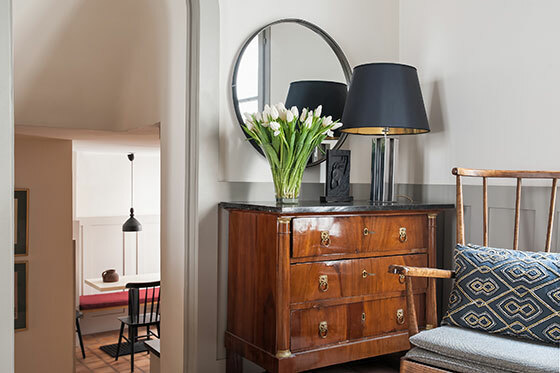 At the spacious, tastefully decorated Alicante, you'll enjoy a peaceful home away from home near the birthplace of Paris on the Ile de la Cité. 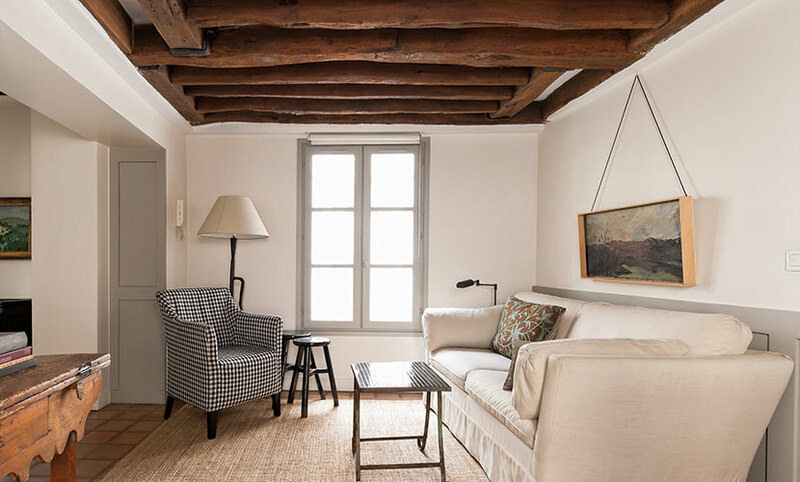 This Paris vacation rental is nestled in a historic building with tons of original charm. 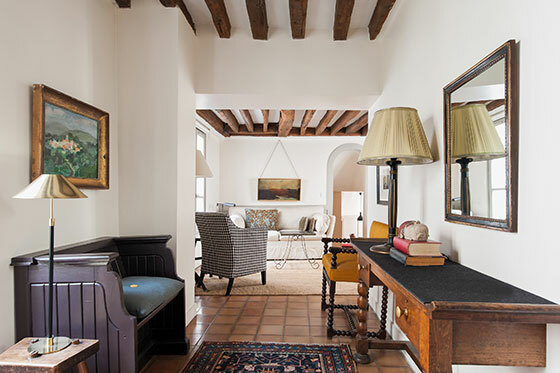 The elegant yet simple decor beautifully compliments the antique wood ceiling beams, perfectly rustic floor tiles and artistic accents sprinkled throughout, making for a clean, uncluttered and supremely comfortable space to call home. 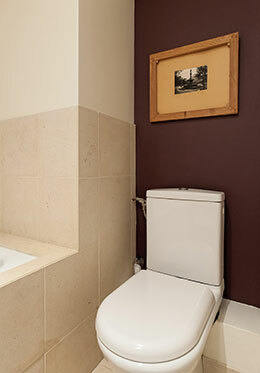 The fully remodeled kitchen and bathroom ensure a pleasant stay with all the modern conveniences. 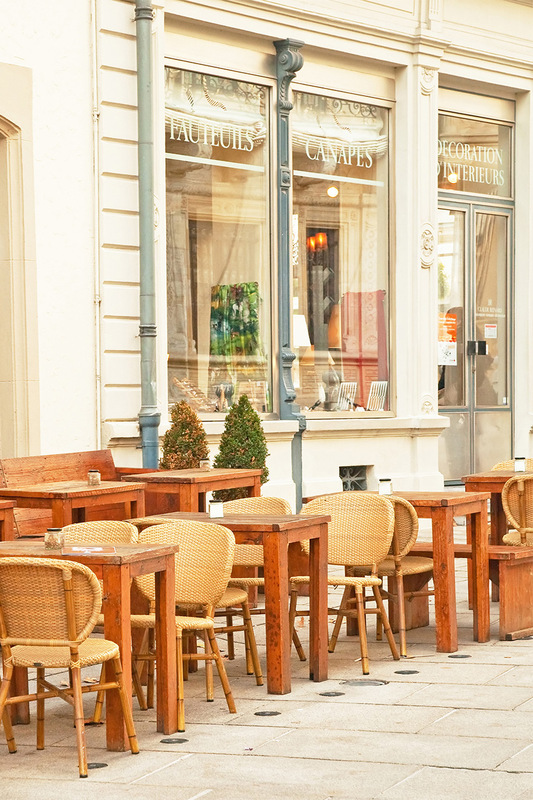 Live like a local and enjoy shopping for food at one of the local open-air markets or enjoy a meal at one of the many classically Parisian cafés, restaurants or brasseries nearby. 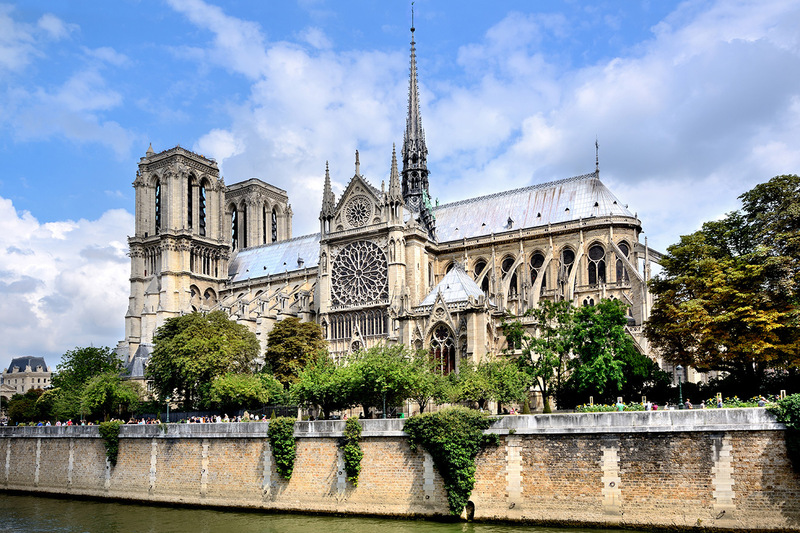 After dinner, take a romantic promenade along the Seine under the incredible Gothic architecture of Notre Dame, or cross over to the Ile Saint Louis to stroll the medieval streets and get a taste of old-world Paris. 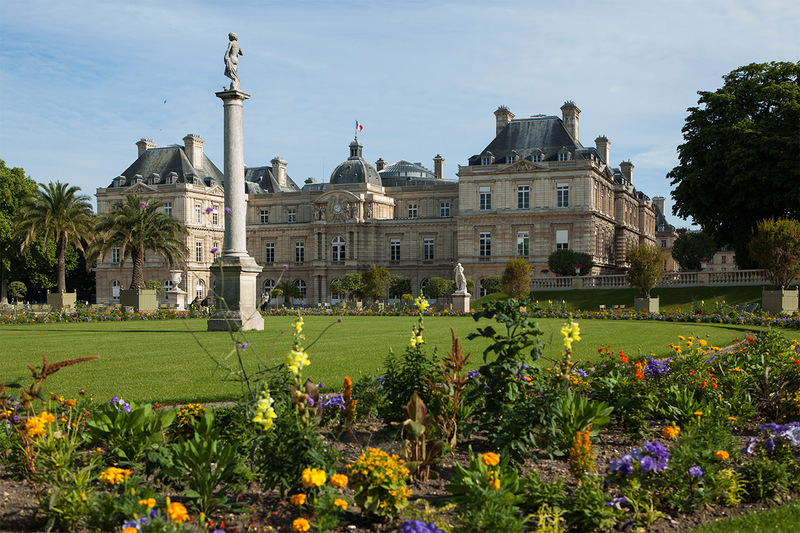 Relax in the beautiful Luxembourg gardens, marvel at the grandeur of the Panthéon and discover all the charms of the Latin Quarter during your stay at the Alicante! Please note: This apartment is located on the first floor (second floor American) without an elevator. There are also five steps from the living room down to the bedroom, bathroom and kitchen level at this vacation rental. 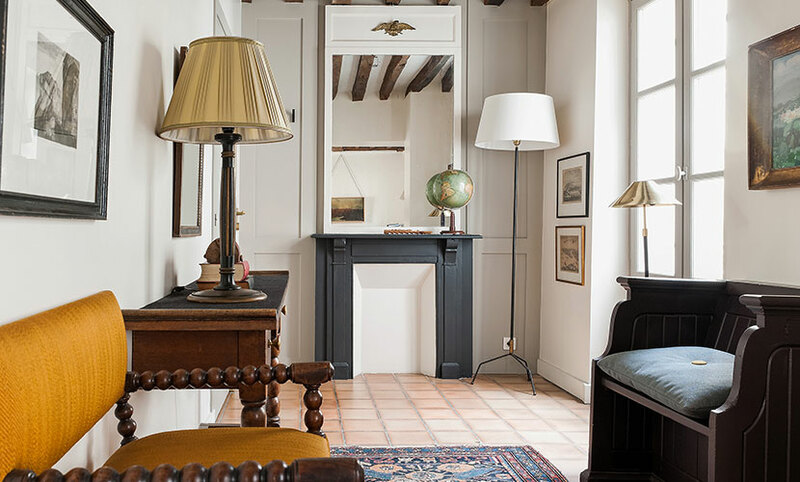 We believe the ideal Latin Quarter location and the apartment's historic charms and graceful decor make it worth the short climb! 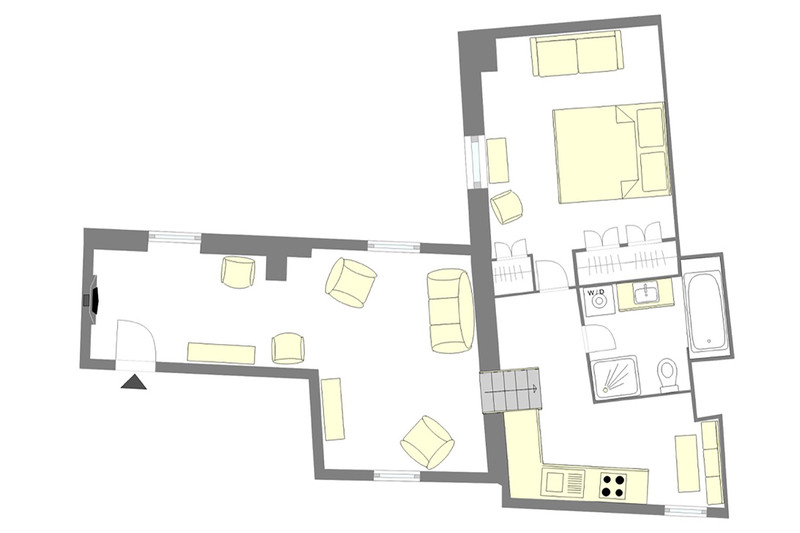 This apartment is only suitable for children aged 8 and over. Elevator: No, the apartment is located on the 1st floor (2nd floor American). There are 18 wide steps with a hand-rail to the apartment. There are 4 steps inside the apartment. Two mobile air conditioning units. Like all mobile A/C in Europe, the hot air is vented thru the windows via a large tube. Read more about types of air conditioning by clicking here. Mobile A/C units can only be made available and used during the months of May, June, July, August, and September. There are two efficient portable fans also. Free calls to local telephone numbers within Paris. Free calls to land lines only in the United States, Germany and the U.K. Please do not call cell phones outside of France on the house phone, as the rates are can be extremely high. We hope you had a wonderful stay in our Alicante apartment. Please take a moment and click here to share a review of your experience with us. "We loved our Paris apartment! Our location was perfect, a block from the Seine and Notre Dame but on a quiet, narrow street where the noise was minimal. 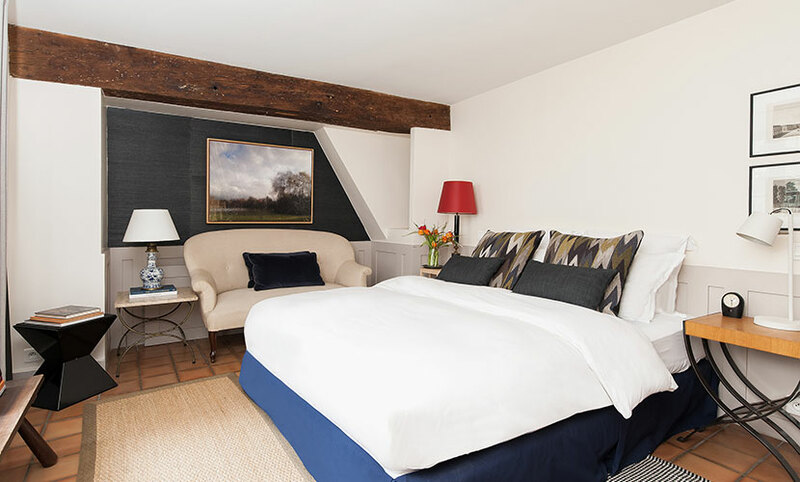 The apartment was charming and ideally set up, with wood beams, a very comfortable bedroom, and a thoroughly modern bathroom. Paris Perfect (and..."
"Alicante truly was perfect! It was quaint and full of Paris atmosphere and history. The old beams gave you a sense of the time that the building was built. The decor was tasteful and comfortable. I loved opening the windows to hear the bells of Notre Dame so close! The bedding and towels were..."
"Couldn't have been more pleased with this arrangement! The location was extremely close to bus and Metro stops as well as first rate wine, cheese, bakery, and charcuterie markets! The accommodations were perfect! Thanks so much for helping to make our visit to Paris (beyond) PERFECT! 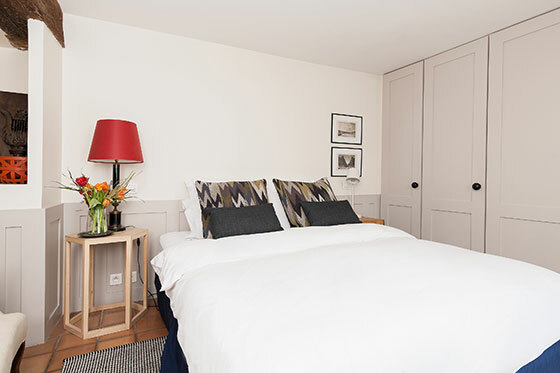 Merci Beaucoup"
"Alicante was a lovely apartment in a wonderful location that suited our needs perfectly - a mother/daughter return to Paris to celebrate the daughter's graduation from college. It was cozy, charming, and very well-equipped. We had a few minor issues on the 2nd day of our visit that were addressed..."
"Thank you so much for another wonderful experience with Paris Perfect (this was our third apartment). Everything was simply, perfect. We look forward to staying with you again sometime over the next year. "We just got back from three weeks in Paris, staying at the Alicante the entire time. It was beautifully decorated, quiet, clean, and in the exact area we'd hope to stay in. Excellent restaurants nearby. We couldn't have had a nicer time and would definitely go back again." "We stayed 6 nights and loved it. The location is great. The neighbors were so friendly. The staff extremely attentive and quick to respond when we had questions. The apartment was very clean and very well stocked for all of our needs. Renting is the way to go. 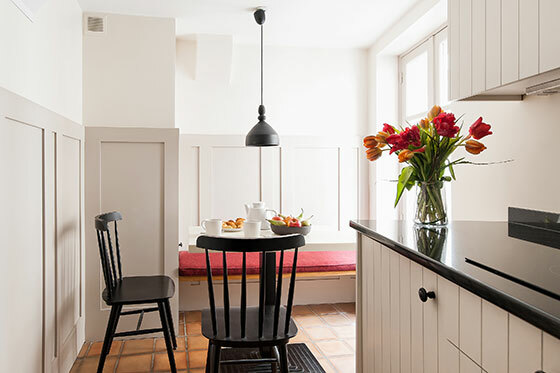 With a washer and fryer and..."
"We very much enjoyed our stay in this charming apartment and were most impressed by all of the staff we encountered through Paris Perfect. The suggested taxi service was terrific and our greeter was on time and thorough. When we encountered very minor issues such as not being able to reboot the tv..."
"We stayed 5 nights in the Alicante on the left bank, Latin Quarter and loved it! The neighborhood is charming and comfortable with everything one needs within walking distance. Paris Perfect staff welcomed us in the early morning of our arrival. We had actually paid for the night before our..."
"We really enjoyed our stay in Alicante. The apartment is as pictured; it was very well appointed and clean. It is also in a great, central location, just a few minutes walk to Notre Dame. We really appreciated the provisions that were available in the apartment upon our arrival. 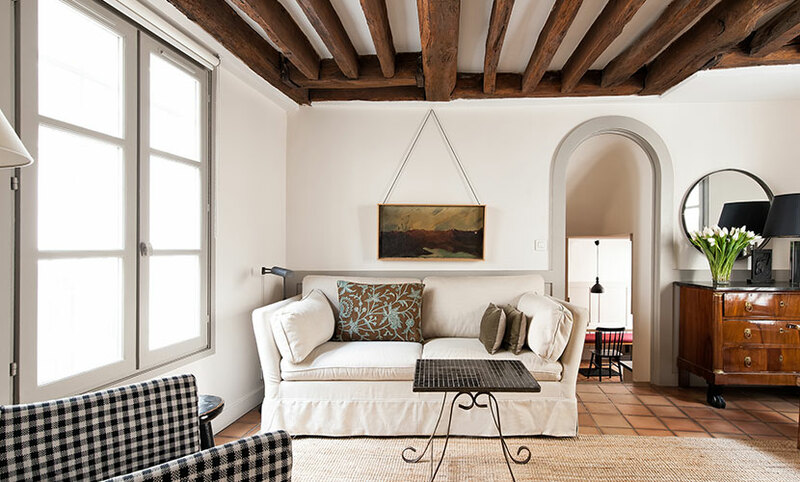 Also loved the..."
"Alicante is a lovely apartment located perfectly to explore Paris. It has a local market and Metro stop just two blocks away. There are dozens of local restaurant choices within walking distance. The apartment itself is comfortable and well equipped. 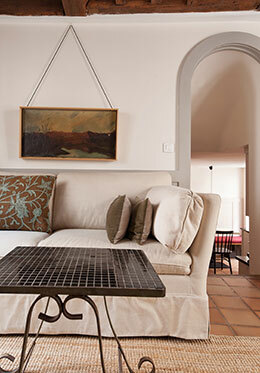 The layout allows people to have a bit of..."
"I loved my stay at the Alicante Apartment. It was cozy and perfect for short stay in Paris. The neighborhood and location were great too. I'd definitely use it again." 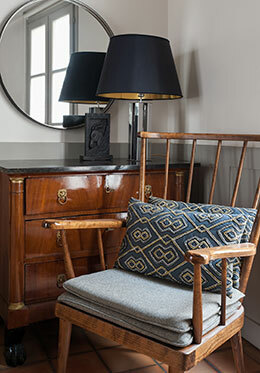 "We had an absolutely wonderful 10 days in Paris in May/June - definitely enhanced by having a "home away from home" with everything that we needed, and in a location that made walking everywhere very practical. It was amazing to hear the bells of Notre Dame multiple times each day, to..."
"Our second perfect stay in this lovely apartment. The location is wonderful---steps from outstanding restaurants, boulangeries, etc., but on a quiet and charming little side street. We felt very much at home in Alicante, and became Parisians for a week. Many thanks to our host Daniele, who took..."
"Everything about our five-night stay at the Alicante was perfect. The location is convenient to restaurants, the metro, shopping, and a very nice street market. Being so close to the islands was an added bonus. The apartment is so charming, and equipped with everything you could possibly need to..."
"A great apartment in a great location. Near great restaurants and a wonderful market, wine shop, cheese shop, and charcuterie. Apartment has a separate washer and dryer which is a great convenience." "The apartment was perfect for us and is in a great location. 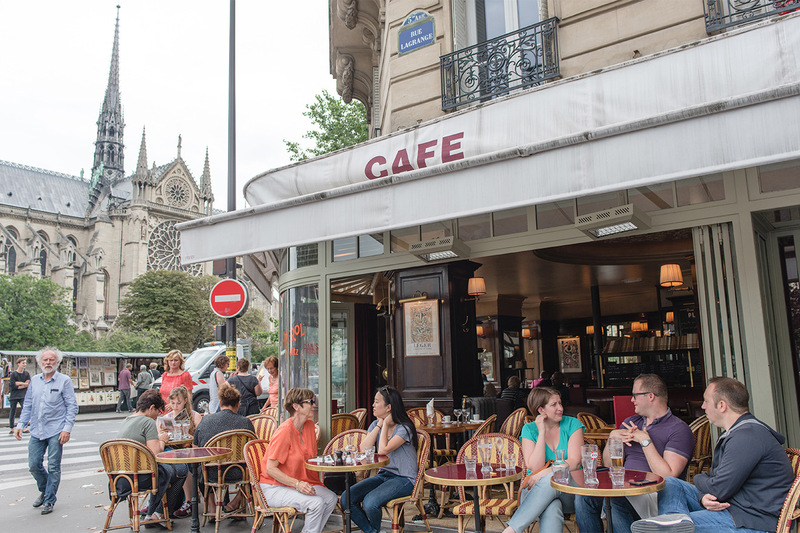 We always find the local Paris info you provide to be quite helpful." 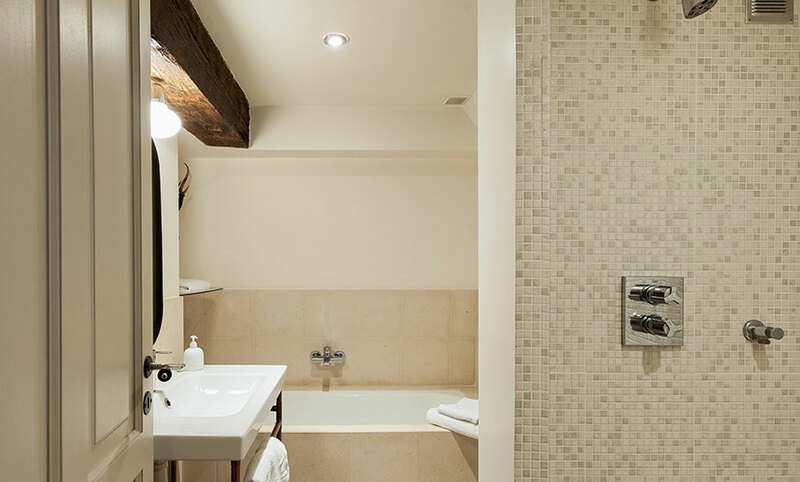 "The apartment was lovely, just as depicted, stocked with plenty of comforts like fresh towels and soaps. 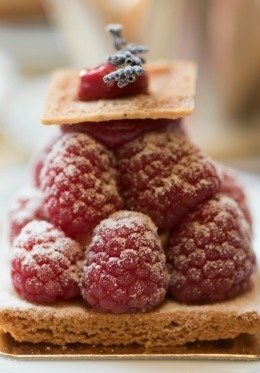 Danielle very kindly met me with a gift of Galette de Rois to celebrate Epiphany.The apartment was quiet and beautifully located, steps from the Seine and minutes from the thrice-weekly outdoor..."
"Charming, convenient and tasteful......So enjoyed the experience. Look forward to working with Paris Perfect again. Loved the apartment!" "From start to finish, my experience with Paris Perfect was truly perfect! The staff was always quick to reply to emails, incredibly helpful, and went out of their way to make sure our stay was wonderful. The Alicante apartment couldn't be at a better location if Notre Dame is your favorite. ..."
"Wonderful location, very comfortable and convenient apartment. Had great time. Staff was very helpful." "Our trip here was amazing. best apartment we could ever have stayed in. The location was perfect. In the apartment it has the most comfortable comforter ever. The apartment is beautiful too!" "Since returning home, not a day has gone by when either my partner or I haven't commented on how much we miss our Alicante apartment. Perfect size, location, and appointments. It truly made us feel at home in Paris. We'll definitely be back." This apartment is just amazing. We had such a wonderful stay! It is so close to the Notre Dame and the Metro. I could not believe how quiet and peaceful the Alicante apartment is and really felt like our home away from home. It was wonderful to have a bath and a shower in the bathroom. The..."
"Alicante was truly Paris perfect! We felt very much at home---the apartment was spacious, beautifully decorated, and had all of the amenities. The street is very quiet, the neighbors were friendly, and we were just a two minute walk away from food shops on St. Germain where we bought our daily..."
"Wonderful location, a dream! Right across from Notre Dame so you start your day in the heart of things. Great neighborhood for food shopping, restaurants and the apartment is spacious for two people with the important pull-out in the living room if someone starts to snore. 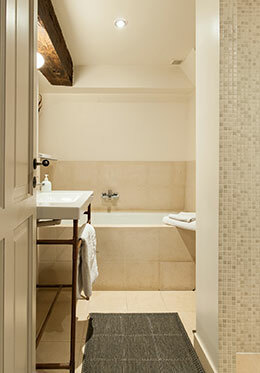 Nice shallow tub that was..."
"Well designed, well furnished apartment. Easy access. All appliances worked, no problems. Very comfortable and cozy in a great location. Made our two-week stay in Paris just about perfect. 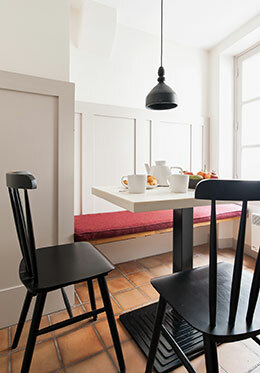 "This well placed little apartment is perfect for two with a little knowledge of Paris. The apartment is close to Notre Dame, Metro, fromagerie, Boulangerie and marche and walking distance from St Germain de Pres and the grand Boulevard. 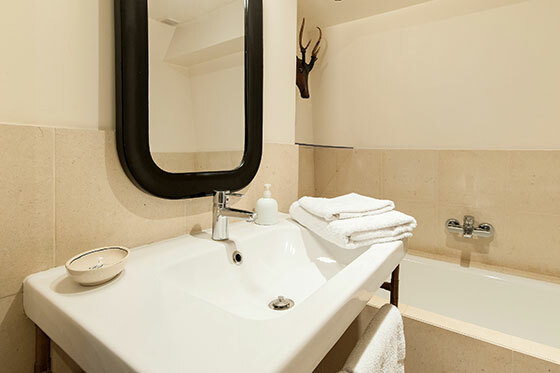 The apartment is well appointed although the spaces are..."
"Our stay in Paris was indeed perfect! We stayed in the Alicante apartment which was in an ideal location for all of our activities. We walked almost everywhere, but when we needed to take the Metro or train the station was close by. 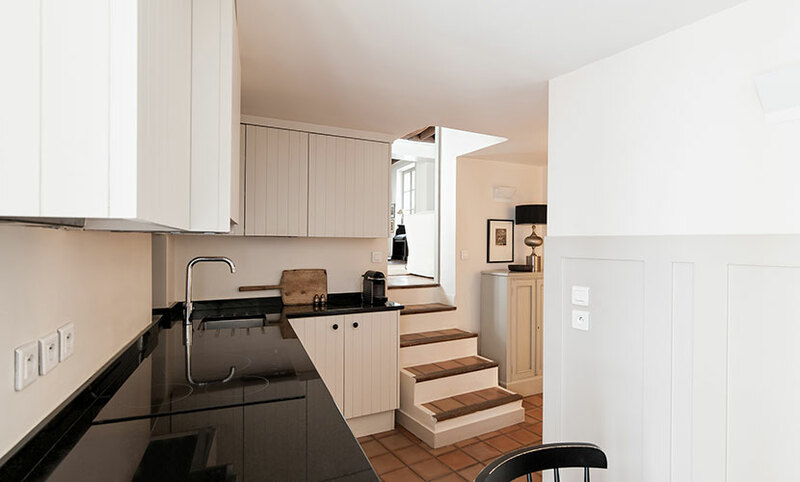 The neighborhood is filled with wonderful bistros and restaurants..."
"Lovely small apartment nicely placed between the crush of the 5th and 6th and the Marais. 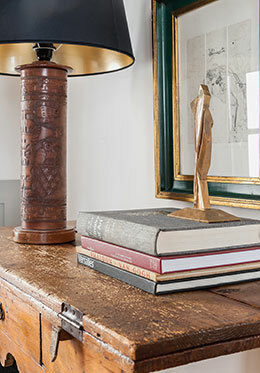 Very thoughtfully decorated and finished to a high standard. Perfect for two with a lovely bedroom. Nearby market is one of the best for produce. Morning walk across the Seine and..."
"Ah, what to say except our trip was wonderful and the apartment was even better than the pictures. 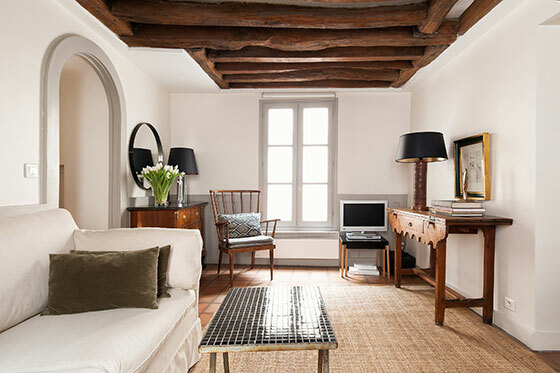 I have already recommended Paris Perfect to a friend and they might also try to stay at the Alicante. It was close to some great restaurants and walking distance to many great sites. Yes, we..."
"This was my third stay with ParisPerfect over the last decade, and it was the best yet. The location was superb, on a tiny street dating back to the 12th century. Turn one way and you're at the river, looking at Notre Dame. Turn the other way and you're at the market square, with its world-class..."
"My wife and had a very good week at the Alicante. Greeted by Paul who was so helpful in introducing us to the apartment and the area of the City in which it is located. 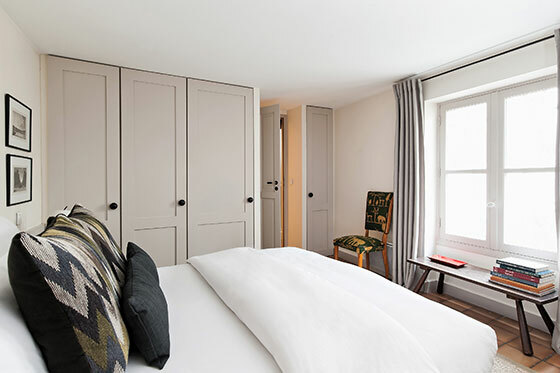 The apartment is in a 17th century building and it has been totally renovated and updated. It is charming and very functional...."
"We had a wonderful visit to Paris and the Alicante apartment was lovely, updated, conveniently located and even provided an espresso machine! Paris Perfect was extremely accommodating in all respects and any time we had questions, etc. they were very prompt in responding to our needs and requests...."
"Everything went very smoothly, and the apartment was great! We never had an issue with hot water running out, which apparently is common in Paris. We would definitely book with Paris Perfect again. Thank you!" "Very convenient location with many restaurants closely. Only a 5 minute walk to metro stop Maubert. We waited about 5 minutes for Paul the greeter. He quickly breezed through the apartment rules and familiarization. There were 3 sharing the apartment. Found it spacious and comfortable. We..."
"I loved my time at the Alicante. I only wish I could have stayed longer! Paris Perfect exceeded my expectations and I would not hesitate to use them again." "Our stay in Alicante was absolutely magnificent. It's in a great position and very private and secure. Heaps of cafes close by made dinner choices very easy. It was great to be able to have a few meals in the apartment, particularly when travelling with our 11 year old daughter. Our greeter Paul,..."
"Our first overseas holiday in 40 years and what a perfect stay in the most beautiful city in the world, Paris. Just so incredibly a wonderful people and place. There was so much to love about Paris. Amazing history and monuments. 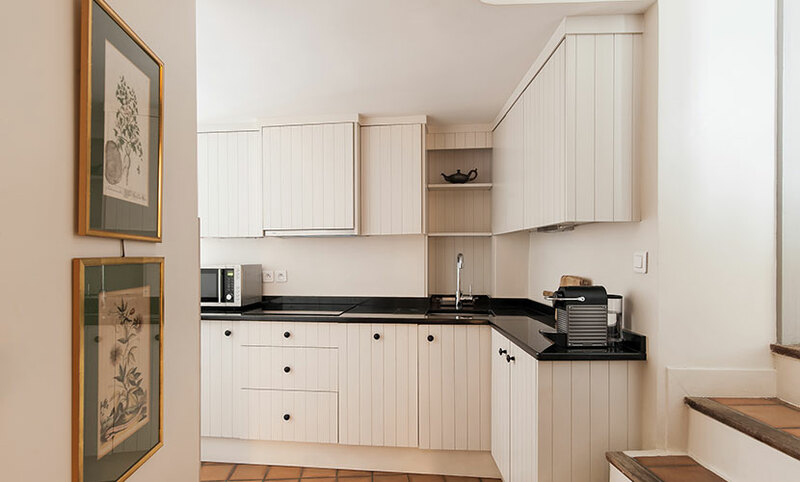 Breathtaking views from the Eiffel and from atop the Arc De Triomphe..."
"Alicante is a beautifully decorated apartment in a perfect Left Bank setting." "this apartment was absolutely perfect! We stayed here in February at the last minute and had a wonderful, memorable stay. The weather was incredible- sunny, clear, and mild- the end of the week it began to snow, which was fun too! Looking out the window to snow flakes was picturesque from..."
"We just returned from our trip Saturday 2nd February - We followed our stay at the Alicante with a stay at the Beaumes de Venise last week. We really liked the Alicante and glad we tried a different location than the 7th. The apartment was very freshly done, well appointed and cozy. ..."
"A great apartment on a wonderfully quiet street considering how close you are to the major tourist area near Notre Dame. The kitchen is well equipped for anyone who wants to cook and for coffee fans, the Nespresso machine is most welcome! 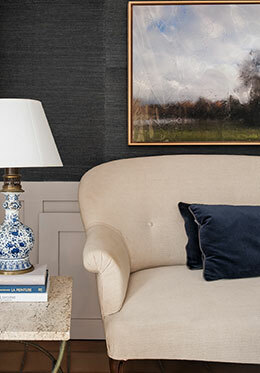 The efforts of the ParisPerfect team to accomodate our..."
Located on the Left Bank of Paris, this apartment is not too far from the Seine river, Notre Dame, Sainte-Chapelle, the Palais de Justice and many of Paris' most beautiful monuments, museums and gardens. Restaurants: The always wonderful Chez René, Le Vieux Bistrot, and Campagne et Provence are nearby. La Tour d'Argent, one of France's most famous restaurants. Rue Saint-Louis-en-l'Ile features some of the best food shops in Paris and include bakeries, wine shops, grocery stores, an excellent fromagerie, and a butcher that local residents say is one of the best in Paris. Rue de Buci, in the Saint-Germain-des-Prés quartier sells fruits and vegetables with a large florist and two excellent patisseries nearby. Open Food Markets: Our Paris vacation apartment is within easy walking distance to open food markets on both the Left and Right Banks. 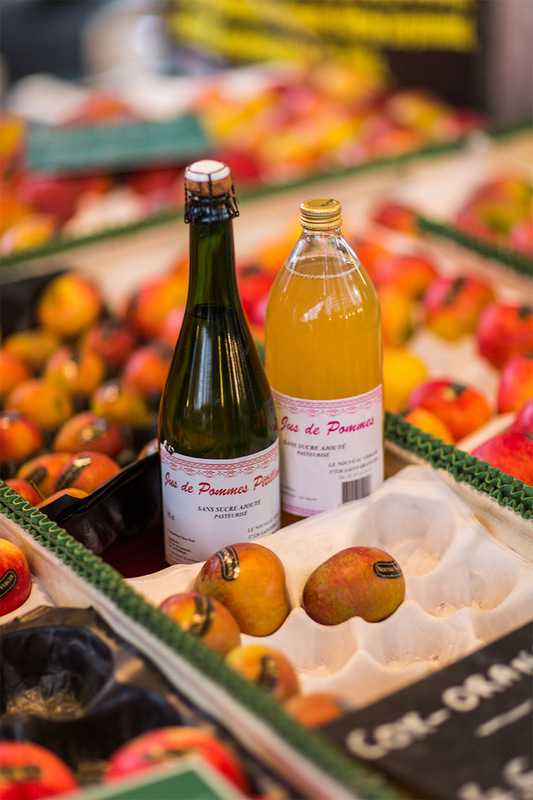 Merchants come from all over France with wines, fruits, vegetables, flowers, fish, Brittany lobster, pates, breads, and more! 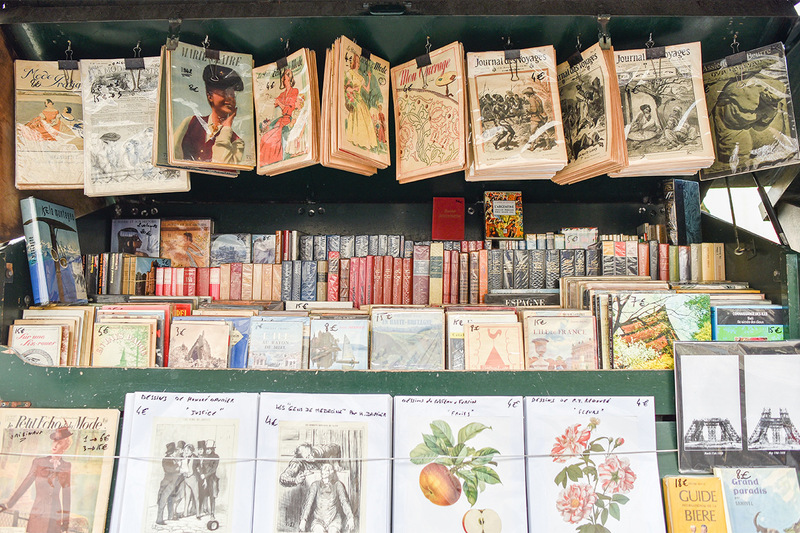 Place Maubert on the Left Bank's most celebrated thoroughfare, Boulevard St-Germain, is a few blocks away and features a lively open-air market every Tuesday, Thursday, and Saturday. The vacation apartment rental is minutes away from the lively St Michel dinner and evening scene. A few blocks to Boulevard Saint Germain, packed with cafés, famous restaurants, and unique specialty shops. 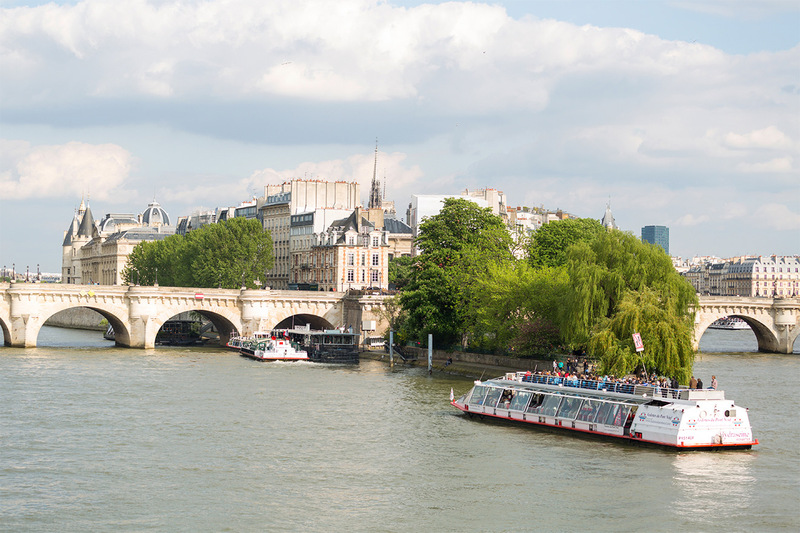 Cross over to the Right Bank and walk 20 minutes along the Seine river to the incomparable Louvre museum. 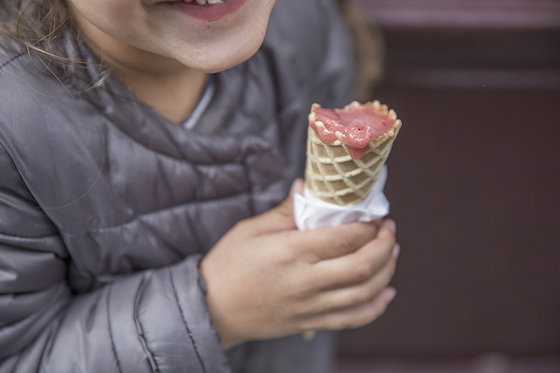 You must try the world-famous Berthillon ice-cream! 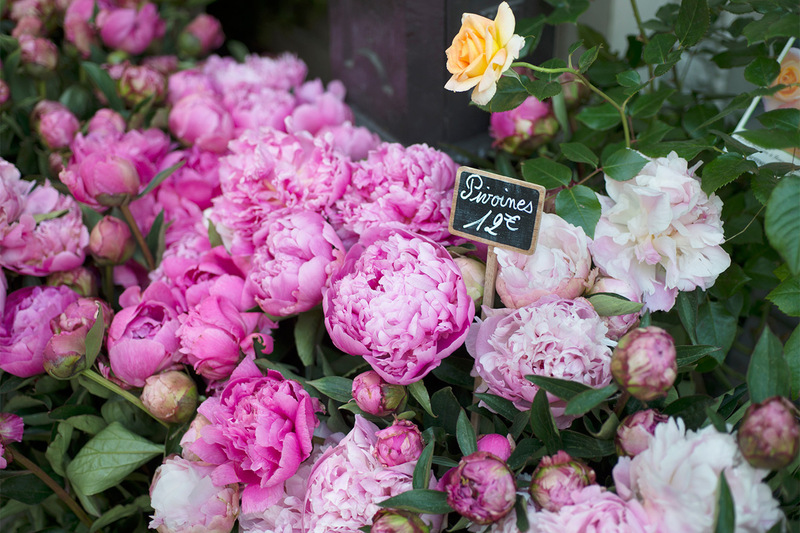 Find some beautiful flowers to brighten your stay! Try some market fresh apple cider!